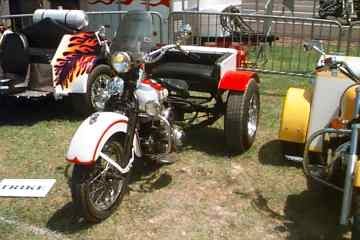 I just love this old 45 Flathead, it's not hitech or state of the art but it sure brings back some sweet memories of a happy time. 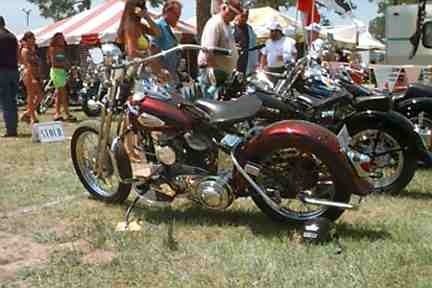 Here is yet another vintage 45 cubic inch. 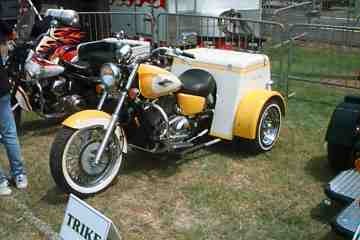 Harley, except this is a trike that was known as a Servi-car used mainly by Police Departments and delivery services. 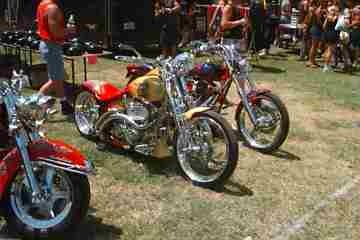 There's nothing to say here, terrific bike! 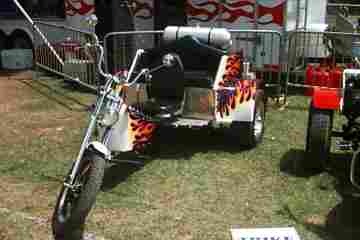 Now, just to show I'm not completely prejudice here is a Honda. 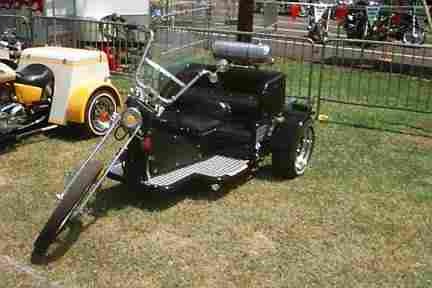 (but it's not a true trike because it still has the rear wheel of the bike, so what does that make it a 4 wheeler? 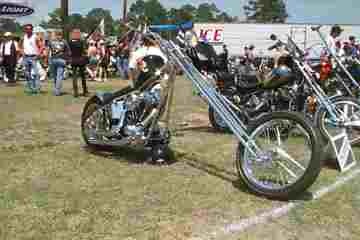 or perhaps a bike with training wheel's!